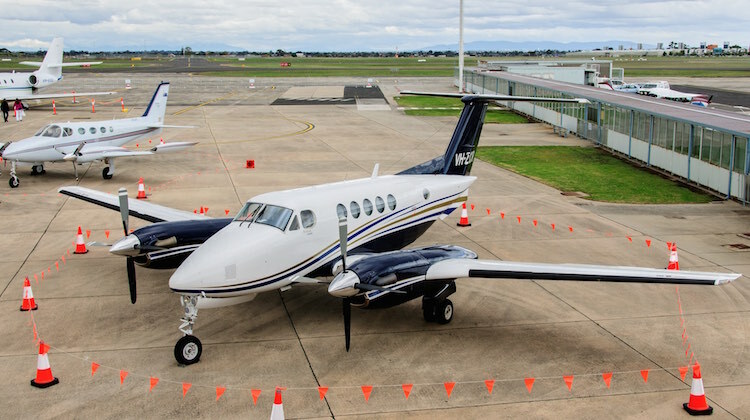 The Australian Transport Safety Bureau (ATSB) says an examination of the Beechcraft B200 Super King Air that crashed at Essendon Airport shortly after takeoff has found there were no pre-existing faults with the aircraft that could have contributed to the incident. The King Air VH-ZCR was operating a private charter flight to King Island. All four passengers and the pilot died in the accident on February 21. The preliminary report into the incident, published on Wednesday, said the aircraft took off from Runway 17 and performed a shallow climbing left turn while maintaining a relatively level pitch and roll attitude. 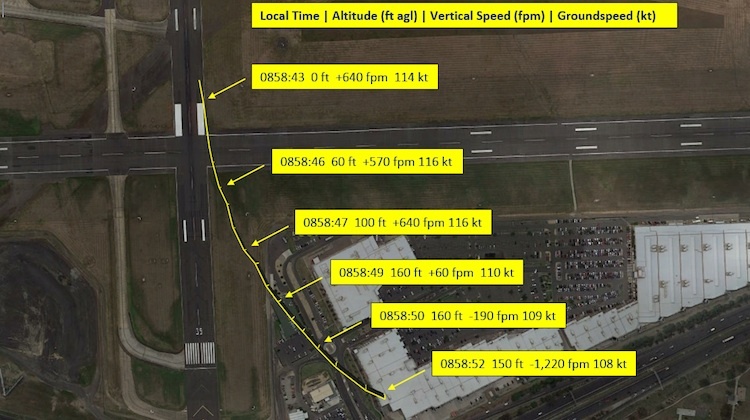 The ATSB said Airservices ADS-B data showed the aircraft reached a maximum height of about 160ft above ground level while tracking in an arc to the left of the runway centreline before colliding with the DFO shopping centre. The aircraft was configured with 10 degrees of flap and had its landing gear extended and locked when it crashed. 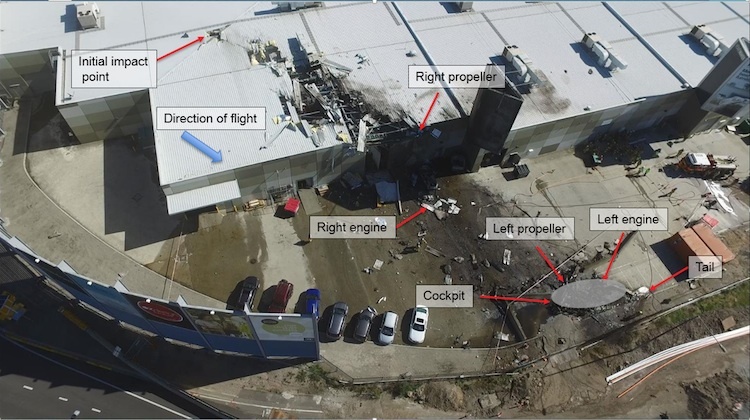 “On-site examination of the wreckage did not identify any pre-existing faults with the aircraft that could have contributed to the accident,” the ATSB report said. The ATSB said the left and right engines were separated from their mounts in the accident, with both suffering varying degrees of fire and impact damage. The engines were taken away from the accident site for further analysis with assistance from the engine manufacturer. “That examination found that the cores of both engines were rotating and that there was no evidence of pre-impact failure of either engine’s internal components,” the ATSB said. 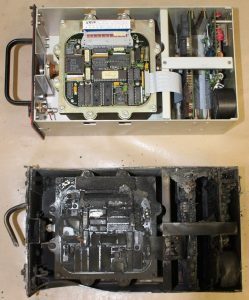 While the cockpit voice recorder was recovered and the data able to be downloaded, the ATSB said there was no audio from the accident. Instead, all audio was from a previous flight on January 3 2017. “The ATSB is examining the reasons for the failure of the CVR to operate on the accident flight,” the report said. Air traffic control audio recordings showed the pilot broadcast a MAYDAY call seven times from shortly after takeoff until the aircraft crashed. Did they take any fuel samples from the bowser? None of this makes any sense. For CASA to say the accident shows the importance of check lists is a stupid statement. Of course they are important but are they saying that a 40 year veteran missed this simple and basic check a number of times. Even if he missed it as soon as he rotated he would have felt the pressure on his right foot and retrimmed. Was the rudder indication and the screw jack working correctly… maybe not.. maybe he thought the rudder was neutral and then he may have mistaken the yaw for an engine failure…and he made 7 mayday calls… that doesn’t make sense either. A toxicology report on the pilot would be interesting reading.